At All Round Supplies, our aim is to make things as easy as possible for our customers. We supply complex structures as a complete kit or ‘ARSembly’, with every component already collected and ready to ship as a single package. This saves contractors the valuable time and energy that would go into sourcing each individual, utility-approved component. The electrical distribution networks include numerous complex designs and constructions, specific to each utility and region in Australia. 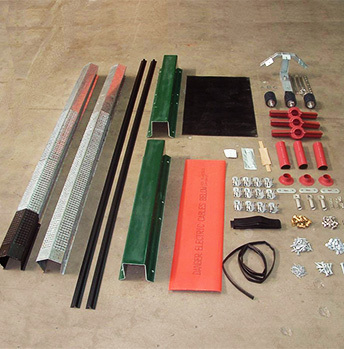 At All Round Supplies, we've engineered an extensive range of underground and overhead construction kits or 'A.R.S.emblies' which can be ordered with one simple stock code. Our A.R.S.emblies take the guesswork out of sourcing materials, with all of the components collected in one neat package, reducing the chance of missing an important part. One stock code per construction type for easy ordering. Only utility-approved materials are included for your peace of mind. Engineered to meet utility construction design standards. Reduce the chance of forgetting materials in the field. Multiple kits can be packaged to meet project-specific requirements. ARSemblies include all of the materials that are not variable. ARSemblies cater for both overhead and underground constructions for utilities such as Endeavour Energy, Ausgrid, Essential Energy and Power and Water Corporation.